The new IAB report spotlights trend By Randall Rothenberg. Today’s consumer is crossing screens, jumping between smartphones and laptops and smart TVs, watching short- and long-form video at a steady clip, and consuming news, information and entertainment at a velocity never seen before. This means the goal for publishers is no longer so simple as bringing consumers to a centralized "home." It’s about reaching audiences anywhere, anytime, anyplace in anyone’s domain. Publishers are placing their valuable content on third-party platforms to find new eyeballs and new revenue streams. Media businesses are no longer exclusively aiming to create a gravitational pull to their own provinces. Case in point: Apple just announced Apple News—a service in which news will be streamed from dozens of highly esteemed publishers. Facebook Instant Articles is another example. Some of the most respected outlets in the world are publishing their content directly to this platform. Then there’s Snapchat’s Discover newsfeed and Flipboard, one of the original players in this field. As these West Coast stalwarts and up-and-comers make new products and create new distribution models, many on the East Coast in the media and marketing realm are figuring out how brands can excel despite the ever-shifting landscape. To help the digital media and marketing ecosystem keep up with these tectonic shifts, the IAB has tapped into the IAB Agency Advisory Board, comprised of 36 senior executives from the nation’s leading creative, digital and media agencies, who have shared with us their insights, shedding light on alignments and disconnects created by new developments in platforms and devices. We’ll be releasing these observations in two new white papers: "Madison Avenue Meets Silicon Valley and Silicon Alley: Building Collaboration Between Creativity and Technology" and "Digital Advertising Audiences: An Industry Perspective on Creating and Building Audiences in a ‘Liquid Audience’ Paradigm." "Madison Avenue Meets Silicon Valley and Silicon Alley," published later this week, delves into the divide separating advertising leaders on Madison Avenue and tech luminaries in the Valley and Alley. Innovators on both coasts endeavor to improve the lives of all digital media users, but all too often they pursue their parallel goals separately—and the new influx of technologies can cause many on the media and marketing side to lose their breath sprinting from behind. So, how do you bring together technology and advertising to create better consumer experiences in a fragmented media marketplace? Leaders like Ron Conway of SV Angel and Michael Lebowitz of Big Spaceship contribute their firsthand experiences in the matter to answer this question. "Digital Advertising Audiences: An Industry Perspective," developed with YuMe, wrestles with the challenge of connecting with "liquid" consumers. Key creative, agency and publisher leaders offer candid insights on the problem, as well as some potential solutions. Among the many valuable learnings: It’s time to redefine audiences. "Our definition of audiences has changed as they are now in the driver’s seat with a myriad of ways to access content," said Brian DiLorenzo of Ming Utility and Entertainment Group. "Still, it’s imperative not to chase audiences. You need to be next to them and where they naturally will be." Moreover, the industry is going to need to accept a variety of metrics for success. "The reality is that there are 20 different types of KPIs that can be unique to an audience," said Lincoln Bjorkman of Wunderman. "Thus it is important to recognize there are many ways for consumers to show love to a brand, and these are very relevant to the channel or platform where they reside." Optimizing for device may be becoming simpler, but this task is being replaced with the demand to optimize for specific platforms. For example, publishers and brands can let Facebook present their Facebook-published content appropriately on mobile screens. However, they still must produce content for each platform—and influential platforms multiply faster than new screens do. 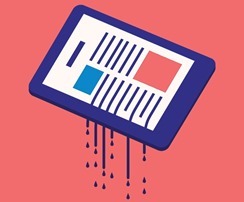 This report will actually come to life on stage at the Cannes Lions International Festival of Creativity on Wednesday, June 24, where IAB is dedicating its presentation to this "liquid audience" phenomenon. Tech world innovations are igniting a shift in the digital media industry that may forever adjust the power structure of the Web. Today, even what it means to make a "home" online is up for grabs. Change can be debilitating, but in the digital media world, it’s also what produces so many amazing opportunities. Go ahead. See the change and take it up a notch and, along with your liquid consumers, surf it. Randall Rothenberg (@r2rothenberg) is president and CEO, Interactive Advertising Bureau.